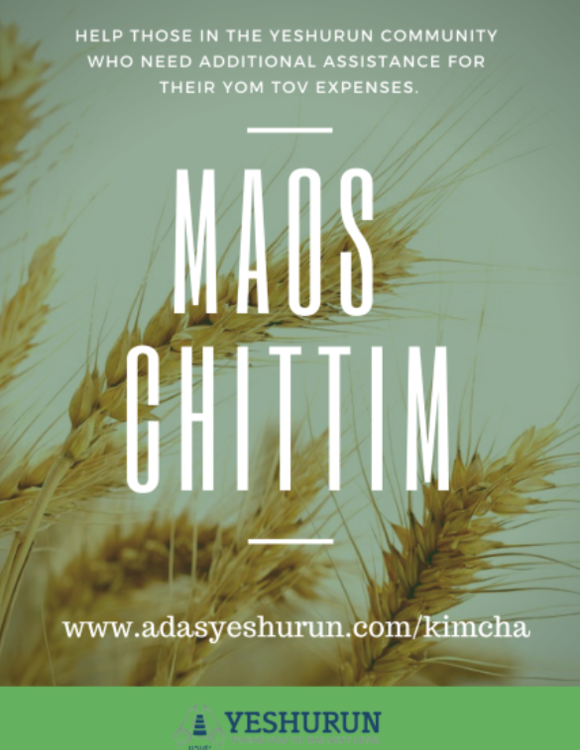 The 8:20 Kiddush is sponsored by Mr. & Mrs. Frank Kleinerman with Hakaras Hatov to Hashem. 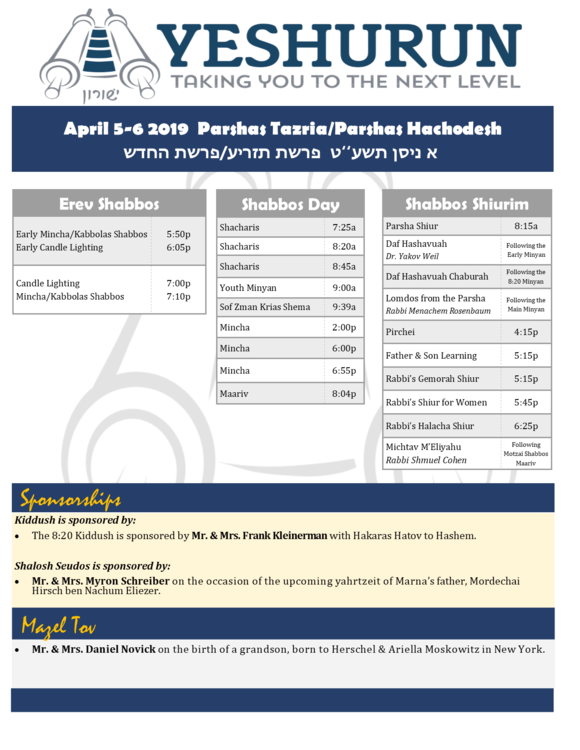 Mr. & Mrs. Myron Schreiber on the occasion of the upcoming yahrtzeit of Marna’s father, Mordechai Hirsch ben Nachum Eliezer. Mr. & Mrs. Daniel Novick on the birth of a grandson, born to Herschel & Ariella Moskowitz in New York. The Stewart Sheinfeld Father and Son Learning Program meets this week at 5:15pm. 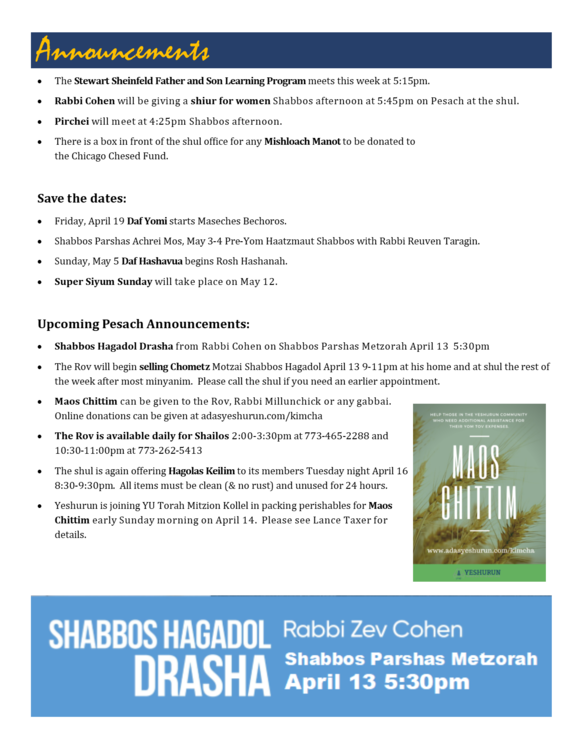 Rabbi Cohen will be giving a shiur for women Shabbos afternoon at 5:45pm on Pesach at the shul. 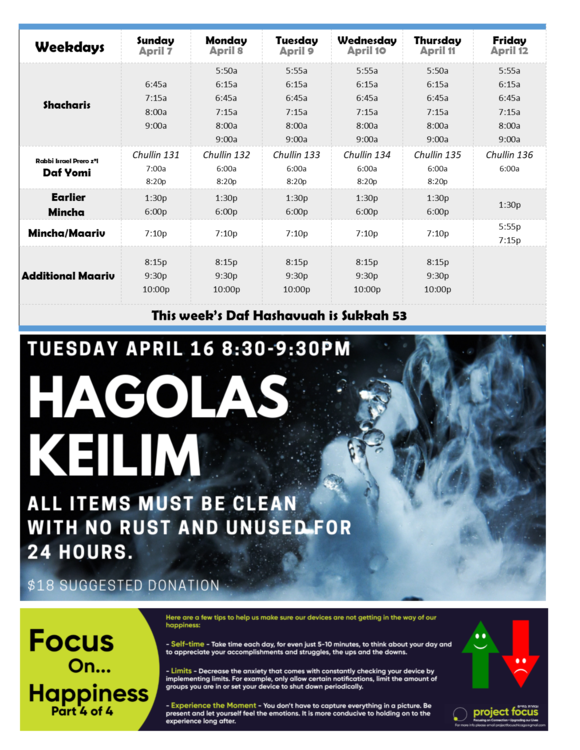 Sunday, May 5 Daf Hashavua begins Rosh Hashana. 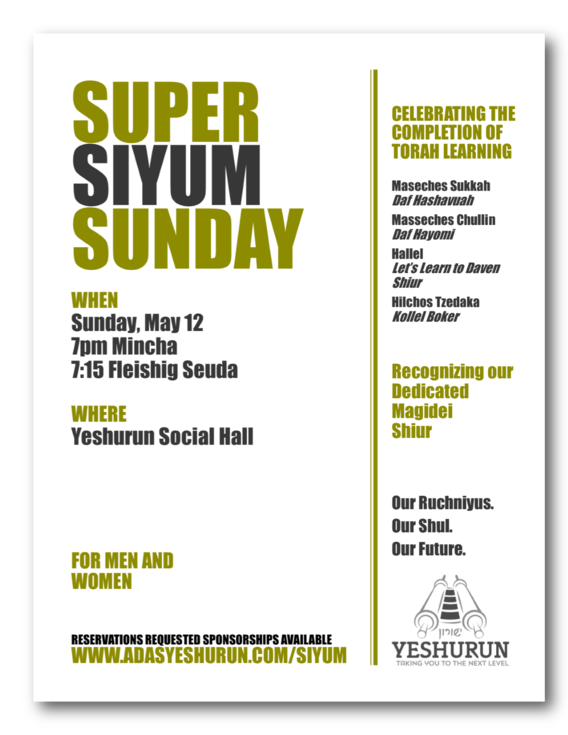 Super Siyum Sunday will take place on May 12.